Krishna Pushkaralu is most commonly stated as it is the festival of the river Krishna. The main significance of this Krishna Pushkaralu is that it occurs once in every 12 years in other words called as Pushakaram. The Krishna River is the fourth biggest river in terms of water inflows and river basin area in India which is approximately 1300 kms. Krishna Pushkaralu happens due to the time of entry of Jupiter into Virgo (Kanya rasi). Most of the Krishna River is connected with Vijayawada. One of the special attractions of Vijayawada is that it has Kanaka Durga Temple is a famous hindu Temple of Goddess Durga located in Vijayawada, Andhra Pradesh. The temple is located on the Indrakeeladri hill, on the banks of Krishna River. The word Pushkara has a definite meaning in our Hindu Mythology. It means that nourishment of the one who performs it. It can also be called as Pushkaram, Pushkara or Pushkaralu. Krishna is also called as Krishnaveni. Government of Andhra Pradesh has made some special arrangements during the last Krishna Pushkaralu which took place in the year 2004. As this is a festival which occurs for once in 12 years. Government of Andhra Pradesh planning heavy preparations so as to reduce the rush of pilgrims. As this holy festival Krishna Pushkaralu occurs only once in 12 years around 4-5 cores of people are expected to visit this pushkaralu from all over the India. Everyone has a belief that whoever visits the Krishna Pushkaram must take a holy dip in the river Krishna which improves their Physical and mental abilities. 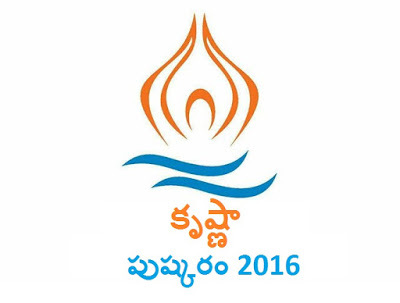 Krishna Pushkaralu will be held from 12th - 23rd of August month 2016. Generally the banks that come across the Krishna River are called as Pushkaralu Ghats. AP government have reportedly focussed on the arrangements of the same. Guntur, Krishna, Prakasham ,Kurnool, are the places which are likely to witness the festive look. Among all of those Vijayawada of Krishna district is the main place where celebrations are made. Krishna Pushkaralu commences on 12th August 2016 in the morning.